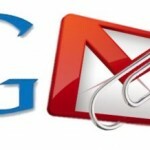 Gmail is one of the popular email service which has lots of new feature and addons. ( See our Post here – 10 Best Gmail Labs Addons You Must Try ). 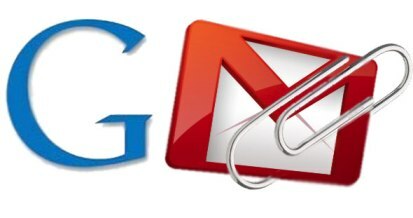 If you are the Gmail user like us then here a Gmail Tip which allows you to add multiple attachments on Email quickly . So at a time you can add bulk of attachment on your Email and send them easily. To do this you don,t need to add any addon or app on your Desktop. This was an inbuilt feature of gmail which allows users to attach multiple files easily. Read Also: Backup Gmail Account 3 Best Ways To Do It It’s easier and the fastest way than selecting and uploading files one-by-one on your email. This tip will work in any browser and also works both for Windows and Mac Users. So next time when you want to send multiple files then try this tip. If you are MAC user you can select multiple attachment from the same folder, hold down the Command key from your MAC and click on each file that you want to attach on your email. With this way you can attach lots of file at a same time, no need to select single file every time. Keep in mind that you can’t send executable files or messages larger than 25 MB. Windows User can use Ctrl key to select a continuous group of files. Adding Gmail attachments Or you can use another method to add multiple files on your email as a attachment. To do this you have to click and drag files from a folder or your desktop directly to the “Attach a file” section. See the screenshot below. Drag Files To Add them As Attachment So with this way you can drag so many files at a same time and add them as a attachment on your message. So whenever next time you want to add one or more files as an attachments try this tip , with this tip you can attach bulk of files easily and quickly on your messages. Posted in	How-to, News. Tagged with	attachments, drag, feature, key, mac, result, screenshot, single, uploading, user, windows.